Looking for gifts for the dad who works at home? We’ve got plenty of ideas for a classic (dare we say masculine?) home office right here. By the way, If you’re in the market for gifts with a more Boho vibe, head over here! The award goes to this L shape desk from Trumake. Steel pipe legs are topped by rustic planks. The distressed wood offers plenty of character and is sealed with polyurethane for a smooth sheen. Choose one of six stains for your wood top. Trumake handcrafts their desks and tables in a range of sizes. Visit the company’s Etsy shop to order. Wirecutter gives this Eye-Caring LED Lamp from Taotronics high marks. The light bar swivels and folds down to put light exactly where you want it. And you can adjust the light’s brightness and color. Comes in white, too. Whether he has worked from home forever or is just saying good-bye to cubicle life, dad will find great tips in this ebook. 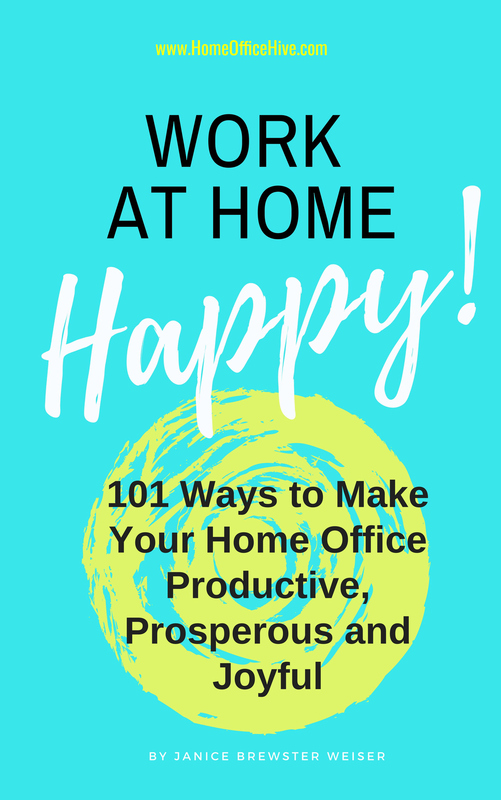 Work at Home Happy covers everything from office decor to productivity hacks to the best afternoon snacks. Send it to straight to his Kindle … for less than a cup of coffee. Just $2.99. When the home office starts to feel a bit lonely, music or a favorite podcast can help. This chubby Wonderboom speaker from Ultimate Ears brings all the sound in a cute, portable and even waterproof package. Extra points for the hanging loop that keeps it from hogging space on his desktop–and the rainbow of available colors. Ready to spoil your favorite home office worker? The Mirra 2 Chair from Herman Miller is the best seat in the house. Flexible, ergonomic and fully adjustable to make hours in front of the computer feel so much better. And it comes in turquoise, too. Working solo? He can go ahead and rock out with these ballpoint pens made to look like drumsticks. The perfect way to bust through writer’s block or the Monday blues. Pick up a pair at Uncommon Goods. Look sharp! The Pencil Shaving Desk Cups from Olive Roddy are cute as a button. The cups come in three primary colors and stand ready to corral pens, pencils, scissors, rulers and more. Help dad take back the home office with help from the experts at Restoring Order. Identify priorities, set up key systems, learn to stamp out deadly paper build-up and more. This 90-minute DVD goes through the no-nonsense process step by step. Order a copy and kill the clutter. Every home office needs a bit of quiet sometimes. This acrylic silver door hanger from Etsy is a great reminder to family members to steer clear. Too bad pets can’t read. Pitch the electric sharpeners that always die young. Bring home this functional–and cute!–sharpener from Carl instead. Perfect points, every time. There’s only so much room on your refrigerator door. 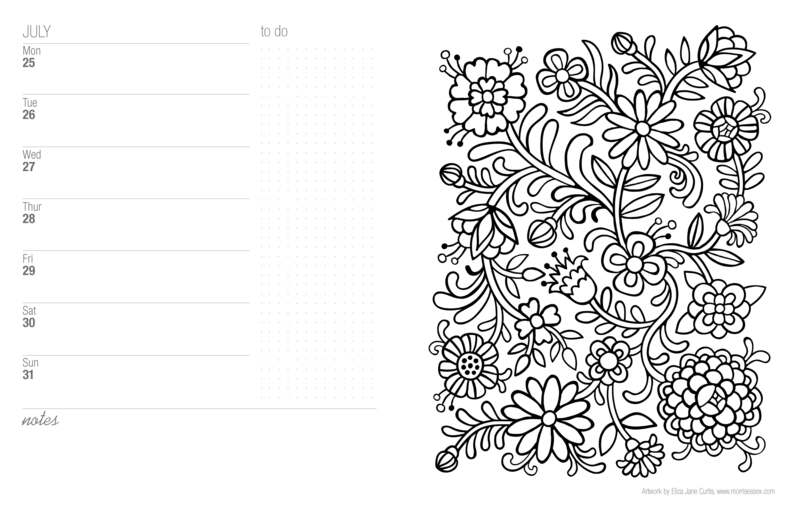 Here are 11 ways to share and use your gorgeous coloring creations. 1. Make a bookmark. 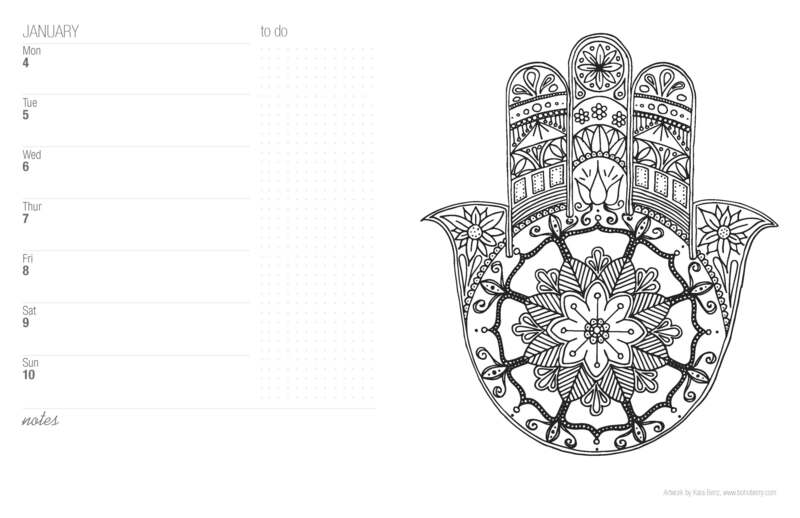 Print or photocopy the black and white design onto heavy card stock. Color the design. Cut a narrow strip, punch a hole in the top and add a tassel. (I found this tassel in the scrapbooking section of Hobby Lobby.) If you have a rounded corner punch, you can use it on all four corners of your bookmark. Create a gift bag. Have an oddly shaped little gift to give? Make a quick gift bag using one of your coloring pages. Follow this tutorial, add coordinating ribbon and tissue and you’re ready for any occasion. Wrap a gift. Easy, right? Just use a coloring page as wrapping paper. You’re the Goddess of Gift Giving! By the way, all the coloring designs shown here are from the 2016 Color Lover’s Weekly Coloring Calendar. Any other ideas? Share them in the comments! Happy coloring to you all! Here’s a peak at a few of the weekly spreads inside the 2016 Color Lover’s Weekly Calendar! All artwork is on right hand pages for easy coloring. 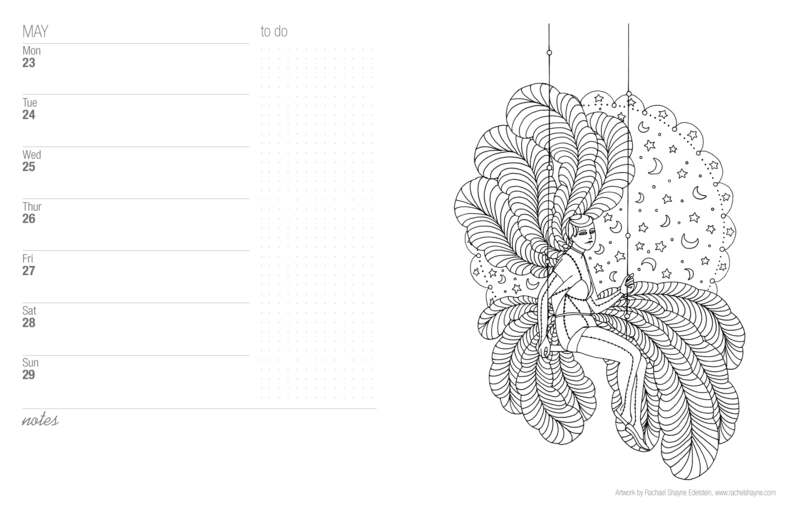 The calendar is 8 1/2 x 11 inches and 124 pages of artful fun! Feeling frazzled? Instead of heading to the vending machine or snapping at a co-worker, try one of these seven ways to tune into your inner happy at work. While these activities might seem insignificant or even silly, re-focusing for five or 10 minutes a day may actually help you become healthier and more productive. Sometimes all you need to be pulled back into the present is a simple nudge. Take a cue from the liturgical bells that call monks to worship or prayer. A bell or chime app for your phone can play a tone at the times you choose. When you hear the bell, pause and take note of your surroundings; what you’re feeling; if your thoughts are racing. Take a few slow breaths before you return to your work. Try the Mindfulness Bell app for Android, or Chill, a daily mindfulness app that sends up to five quotes and reminders to your iPad or iPhone every day. You can also set your device’s alarm function to ring bell tones at intervals during the work day. Coloring has been shown to aid relaxation and divert attention from anxious thoughts. A short coloring break at your desk can help clear your mind, combat stress and engage your creative thinking. A dozen or so colored pencils or crayons and a few minutes to color a pre-printed design or doodle one of your own can create a calm spot in a stressful day. Perfect for your desk, the 2016 Color Lover’s Weekly Calendar from Creative Girlfriends Press offers 53 coloring designs printed alongside weekly calendar pages. Try using and wearing a meditation necklace or mala, which can serve as a mindfulness tool and remind you of your intention all day long. In Buddhist tradition, the mala is strung with 108 beads. During meditation, a mantra is repeated as each bead slides through the hand. Many religions use prayer beads that can be carried or worn to the office. Meditation necklaces hand-knotted by Kara Benz of Boho Berry follow Buddhist mala tradition and are available in a wide variety of bead colors. Search YouTube for videos explaining how to use the mala in meditation. Crunching potato chips while scrolling through emails isn’t a recipe for peace and good health. Nourish your body and mind by savoring your mid-day meal. Pay attention to the color, texture and taste of your food as you eat. Try setting your fork or spoon down between each bite to slow your eating. Imagine telling a friend about the food you’re eating: How would you describe the taste or appearance of your salad, sandwich or soup? Noticing what you eat can make you feel more satisfied and may help you choose healthier foods. Chic containers and utensils from Black + Blum take lunch style way beyond the brown bag. Tuning in to your senses can put the brakes on your racing mind. Literally stopping to smell the flowers—or the lavender, bergamot or patchouli of essential oils—can snap you back to the present. Choose an oil based on its prescribed benefits, or just pick a favorite scent and use it with a diffuser to create an olfactory treat you can stop and savor during your work day. Aura Cacia’s Aromatherapy Vaporizer uses a stream of air to diffuse scent. Go silent for just a few minutes. Hang a do not disturb sign on your office door or pop on noise-canceling headphones and drink a cup of tea in silence—with no input from your phone or computer. Better yet, head outside with your mug if possible to hear natural sounds. Gazing at a long view gives you the added bonus of reducing eye strain caused by staring at a computer screen for extended periods of time. Inspire yourself to take a short stretch of quiet with the Rejuvenation Gift Set from Tea Forte. Stress can produce negative thoughts—stop them in their tracks with positive words. Affirmations and uplifting quotes can help you reframe your thoughts and put your current workday cares into prospective. Need a good reason? Researchers have found that a positive outlook can help protect against heart disease and improve diet and sleep patterns. Choose a card each day from the Virtues Project deck. Each of the deck’s 100 cards describes a virtue like “tolerance,” “peace” and “strength,” while offering quotes and ideas for practicing that virtue. Do you have a favorite way to de-stress at work? A year’s supply of coloring pages! Featuring a new coloring design each week, our new calendar and coloring book for grown-ups helps you track your events and to-do lists while giving you time to play with color! The large format (8 1/2 x 11 inch) calendar features monthly pages, as well as weekly pages with plenty of space for notes. Coloring pages are on the right to make coloring easy. Take the calendar with you for an artful break wherever you go. To keep your coloring pages free from unwanted marks, use a pen or pencil (not markers) to write your calendar notes. If you use markers on the coloring designs, slip a sheet of paper behind the page as you work. Take time for yourself every week! Give yourself–or someone on your gift list–a few moments of color happiness every week. Available on Amazon now! Calling all coloring page designers! 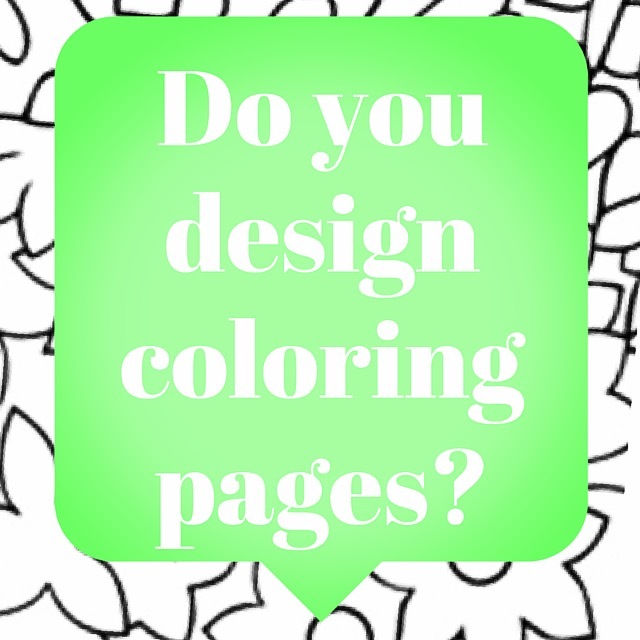 We’re looking for a handful of creative coloring page designers for an upcoming project. Are you one? Do you know one? Let us know!